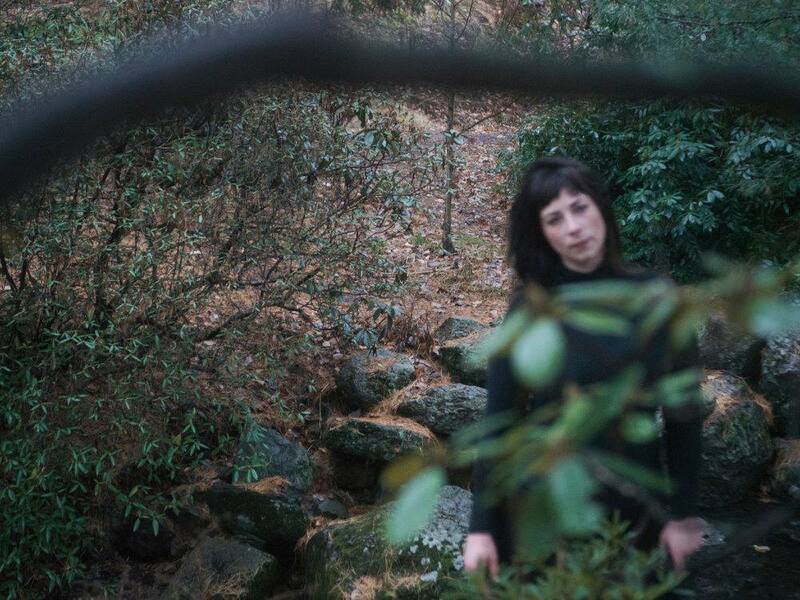 Isabella has been a staple within the Boston electronic underground for years. 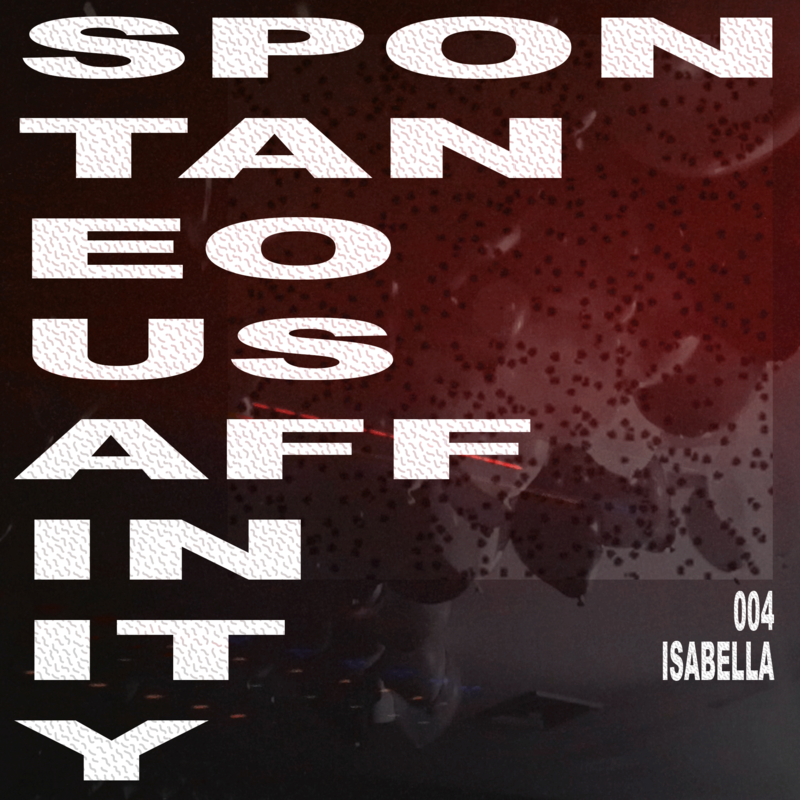 Perhaps best known for her always evolving, thrash-inducing live sets, she's also highlighted marginalized artists and musical styles with Substructure (culminating in curating music for an all-night party at the MFA), released with Börft and Peder Mannerfelt, and played numerous cities across the U.S. and Europe. I’ve been interested in this idea of “synthesizer subterfuge” lately, synthesis deception; when the edges of a really tight rhythm or order and clear direction in a song collide with the chaotic elements of noise and non-drum oriented sounds. I recently witnessed DJ Elizabeth Dalton drop Doc Scott’s "Surgery" at a show and the audience went from the space of movement where it was fairly groove-directed, 4/4 style to a straight hoover circle pit. It was a really beautiful moment. Surgery definitely has straightforward rhythmic elements but it dances on this line of insanity with the fluctuating hoover that really pushes people into madness, it's so fun. I love those collisions on the dance floor and within music. So I guess I just entered this mix thinking about that a bit, I set out initially to do a more ambient/beatless mix because I’ve been really enjoying that lately, but actually ended up going in a completely different direction. I recorded this mix as a hybrid set between Traktor and vinyl and some feelings I was exploring I think were pressure relating physically to the body, repetition, isolation, and feeling bifurcated. I grew up in Gloucester, MA. I used to go to a lot of noise/punk shows when I was young at an all-ages venue called “Art Space”. It was a community art space that hosted a huge spectrum of events and classes, including an environmental art based summer camp. Thinking back, I guess it had an effect on how I view community-based/run art spaces and what makes them successful or unsuccessful. Reflecting on my time there growing up makes me think about equity in art spaces, what systems of power are inherently being upheld even just by the layout of spaces (accessibility etc. ), what are these platforms being used for, who is curating the events, who is this space serving, and so forth. Can you tell us about something you've discovered about yourself through a dancefloor, whether in a single moment or over an extended period of time? It's funny being on both sides of this question, performing and also participating. When I perform I never, ever, ever look up, yet rely so heavily on the audience and the energy and mood in the room. I think I compose for a specific environment right now and that concept has been creeping into a lot of my work and how I navigate spaces. When dancing, I definitely tend to move inward, but love to do that in a communal way, if that makes sense? The idea of the dancefloor being a platform for multiple individual experiences first and foremost happening simultaneously is pretty unique. Although I guess it could be argued that that could describe something like riding the train with a lot of people too, right? Lol. Maybe my discovery is yet to happen and it's all an experiment that's circumstantial based on my anxiety levels that night. To what extent is utopia possible, and does dance music help us get there? I’d like to propose “imagined spaces” in replacement of Utopia. I’m in the process of thinking about Utopias. In some of the research I’ve done, they seem to be able to exist (in various states) only at someone else’s expense, ultimately failing at providing equity. But I guess if I frame it for myself as a smaller imagined space that functions as X,Y or Z for a night, weekend, or month-long residency that has opportunity for a collaborative exchange (and bonus if it's a cultural one via dance music), then I would say that sounds much more possible. And set in reality. Dance music, or just music in general, is a complex terrain that lets us map out what sort of imagined spaces we’d like to see as individuals and the environments that go with them. In so many words, music ideally functions as a supreme tool that lets us build our own imagined spaces. Share a track that you never completed or shared, and talk about why that track never made the cut. This was a sketch of a track that I thought maybe could be a song but it doesn’t really go anywhere for me. The ingredients are there, I just haven’t been able to bake the pie yet. They’re all sitting in a bowl congealing. I really don’t like the sound of the drums, they’re very stock and recognizable as the gear which it came from-I can hear exactly what I see (my drum machine). I don't like when those associations are easy, it takes the mystic element out of experiencing a sound. I like when the associations can be made to other things, like smells or objects or texture. I have this one track that’s based around this idea of accomplishing something useful out of a really messy and harsh experience that’s only brought on by your own decisions and actions (upbeat abrasion). It's a two way street, the experience can inform the sound and the sound can inform the experience.